The passing of Whitney Houston was surely one of the biggest shocks all the music lovers will remember and for all those who looked up to her; the news was certainly more devastating. 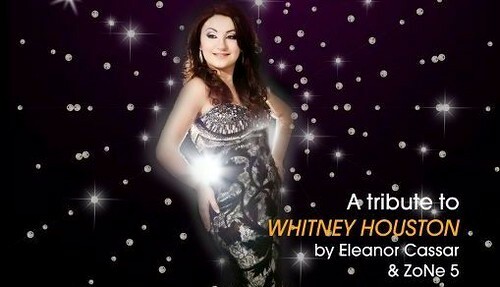 One of the singers who always looked up to Whitney is none other than our very own Eleanor Cassar who from the tender age of thirteen dreamt that one day she will have the opportunity to belt out some of Houston’s power ballads. The concert will take place on the 27th of May at the City Theatre in Valletta and it will feature around eighteen of Whitney Houston’s classics along with a number of clips that will give an overview of who Whitney is and her way to stardom. Queen of the Night is surely going to be a spectacular show that one simply cannot miss. Whitney was surely an international queen and her music will live on for decades to come. Surely a great way to embrace her music is to hear it interpreted by one of Malta’s leading singers who surely has built her way up the music scene that she can be considered a queen, at least just for one night where the formidable Eleanor Cassar will take the stage accompanied by a ten piece band and three backing vocalists; Petra Zammit, Anna Azzopardi and Christine Camilleri. The concert will also include special performances by Chiara and Glen Vella. The brain behind this project is Heathcliffe Balzan who happens to be the one leading the ensemble to make this concert a huge success. Those interested in obtaining tickets for the event can do so by logging in to www.biljetti.com.